Waterproofing solutions designed and engineered in Australia for both Commercial and Domestic applications. 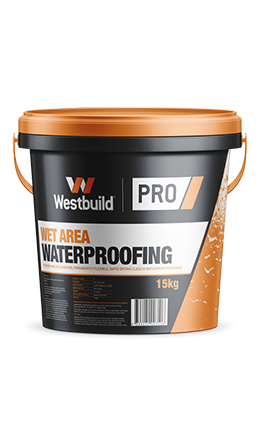 Westbuild PRO provides you with a harmonious system designed to be used in conjunction with the Westbuild range of levelling mortars, screeds and tiling adhesives. Polyurethane (PU) modified, Permanently Flexible, Rapid Drying Class III Waterproof Membrane. A strong, flexible fabric designed to reinforce Wet Area Waterproofing to form a strong, integrated membrane sheet. 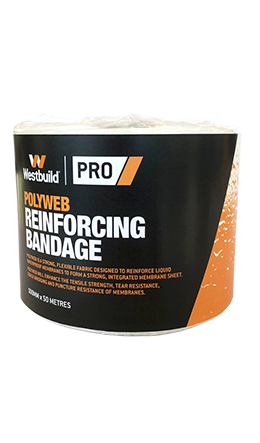 Polyweb will enhance the tensile strength, tear resistance, crack bridging and puncture resistance of membranes.